Product prices and availability are accurate as of 2019-04-18 03:54:59 EDT and are subject to change. Any price and availability information displayed on http://www.amazon.com/ at the time of purchase will apply to the purchase of this product. Overview: LectraLock electrical outlet protectors are the ideal way to prevent your little ones from tampering with electrical outlets and plugs. 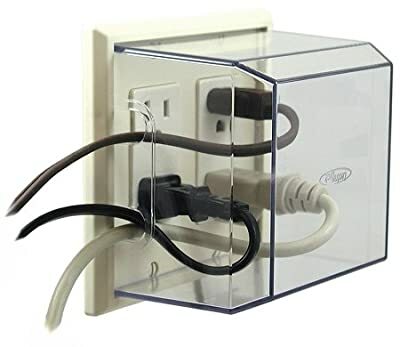 They are also used extensively to prevent plugs from falling out and prevent crushing of plugs behind doors and furniture. We offer a wide variety of colors and models to fit most electrical outlets. For Indoor Use Only.